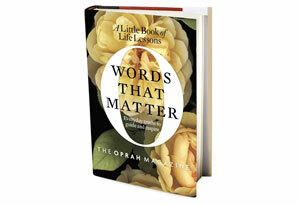 Girltime Coaching: 15 of Our Favorite Quotes from O's Words That Matter -Words-That-Matter-Inspirational-Quotes? 15 of Our Favorite Quotes from O's Words That Matter -Words-That-Matter-Inspirational-Quotes? These gems from Nobel Prize winners and other thinkers—including Oprah—make for a little book about big ideas. Available in bookstores this month, or purchase now.